The Edge Template is a multifunctional one page template with the ability to become any website that you need. The transformation abilities of The Edge theme can be seen from the 12 unique demos that we have prepared for you. Each demo looks like a different website but they are all The Edge one page WordPress template. We will add more demos as we go along with more options and design versions. The content inside the demos can be changed with ease using drag & drop page building. 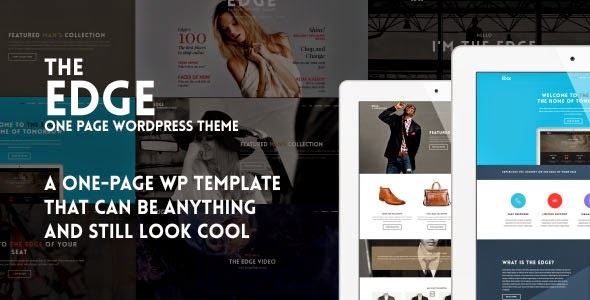 Item Reviewed: The Edge One Page Multipurpose WordPress Theme 9 out of 10 based on 10 ratings. 9 user reviews.